Mars is most powerful in Capricorn and is now moving towards its exact degree of Exaltation on Tuesday January 22nd IST*. The planet Mars is under the direct control of the Pleiadian God Muruga. This is a time to take action and make your Dreams Become Reality. * In astrology a day starts and ends at sunrise. Mars reaches its exact degree of exaltation on January 23rd, Wednesday morning 1 hour before sunrise which astrologically is still Tuesday. AstroVed will perform a limited number of 6-Faced Muruga Exalted Mars Fire Labs so you can receive the maximum transmission of pure exalted Mars energy. This Fire Lab harnesses the unique power of; Exalted Saturn and Exalted Mars with Sun in Capricorn. This unique combination creates a perfect combination for starting new ventures of all types but it is especially powerful for real estate and land deals as Mars rules the earth. Mars gives you your gut instinct that a real estate deal is good or not. You can use this energy in your favor. If you want to buy or build a house or a business, this is the right time for you to do so. Make use of the time which will not be repeated at least for another 28 years. Just make use of it and get busy with buying a house or starting a business because it is the time of renewal and it is very much useful and powerful for you. The Pushya Birth-Star is associated with intelligence. It is located in Cancer and is ruled by the Moon. Moon represents the mind principle and Pushya star is ruled by the most powerful of planets, Saturn. Although the Moon aligns with the Pushya star every month, this particular upcoming Pushya star day is different, as the Moon will be Full when it conjuncts with Pushya. On this day you can end your old patterns. You Can Become More Conscious. It is the day that Lord Shiva came to the Earth plane to dissolve human ignorance, lack of attention and goofiness. You can create an abundant amount of intelligence. Lord Muruga, the son of Shiva, received his lance (Vel) on this day. The vel is simply not a weapon, it means a couple of things: super intelligence, also the psychic weapon that dissolves stubborn karma. It is due to stubborn karma that the old patterns and unconscious behavior do not go away. It is the ascension day of Swami Ramalingam. He went into a room and disappeared. The ascension of Ramalingam is significant this year because of the Golden Age. This is the first Thai Poosam of the golden age. It is time to remind ourselves of our own evolution from the meat body to the light body. This is the time that the Pleiades constellation is influencing the Earth plane and the Pleiadians have a commitment to evolve the Earth plane. The Pleiadian God Muruga, rules Mars and while Mars is in Capricorn His energy is very present on Earth. This makes it possible for you to evolve your brain using the 6 faces of Muruga. The 6 faces represent the 6 parts of the brain and by linking with Muruga your brain will be empowered to have greater intelligence. 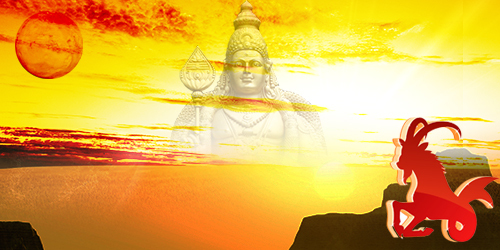 To achieve perfect health, wealth and success connect with Muruga. Thai Poosam is special this year due to Saturn being exalted. Saturn is the lord of the Birth-Star Pushya (or Poosam) and He is posited in the angles of the Sun and the Moon, along with the powerful node Rahu. The combination of Saturn and Rahu is called Shrapit Yoga. “Shrapit” means somebody who is cursed so this combination is potentially harmful. However Saturn is exalted and both planets are friends so it is possible to remove curses. Thai Poosam is the right time to heal a broken heart and to seek forgiveness. Due to Saturn’s presence, resolutions to work hard to reach your goals will take hold. Also it’s possible to dissolve your bad karma due to curses by doing charity, offering prayers and performing spiritual practices.